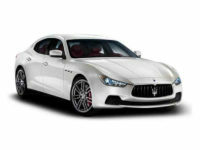 NYC Car Lease offers an outstanding selection of Maserati’s to choose from. All the cars have a perfect combination of incredible power, great comfort and exceptional style that can not be rivaled by other brands in the same class. This is why our company has offered Maserati models in our leasing services for all Maserati enthusiasts. Whether it is a Maserati Ghibli Sedan, Maserati Quattroporte Sedan, or Maserati Levante SUV, we have them available at our dealership. Thus, get in touch with us via 929-239-3040, and speak with one of our sales representatives for a great lease deal. At NYC Car Lease, we have an outstanding lineup of all types of cars, and the lease prices are affordable. 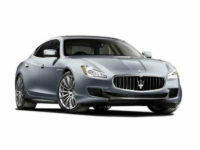 Some of the Maserati models available in our selection include Maserati Ghibli Sedan, Maserati Quattroporte Sedan, and Maserati GranTurismo Sedan. 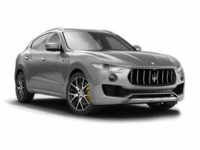 We have higher end Maserati models as well, one of which includes the Maserati Levante SUV. 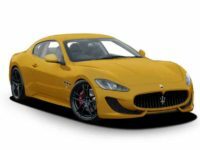 For Maserati Sports car lovers we have the Maserati GranTurismo Coupe Sports while for clients interested in a Maserati Convertible we have the Maserati GranCabrio. All these and many more models are available at our dealership. Our personnel will assist you to find the perfect vehicle with the exact lease terms that you desire. We maintain low and affordable prices by cutting on our dealership’s overall overhead costs. These low overhead costs mean good leasing terms and favorable prices to our clients. With our auto leasing services, you will get great satisfaction in any deal that you are offered. Our company never puts clients under pressure for whatever reason or any harassment like pressured sales talk. You will easily see the difference between competitors and us since we are not interested in short-term objectives like fast commissions. Thus, partner with the best auto lease company in New York City and enjoy the best leasing offers, and excellent lease terms. NYC Car City is dedicated to putting its customers first. Our auto experts work closely with clients to figure out the exact vehicle with the right features. Whenever you contact our personnel with any queries, they will answer all the questions that you have, so that make the right decision before you lease a vehicle. Thus, feel free to consider the best auto lease options in NYC Car Lease, and we guarantee that you will enjoy the lease and have a memorable leasing experience. NYC Car Lease personnel aims at achieving ultimate satisfaction in clients with our high-quality auto leasing services. If you have some questions about our leasing services or you’re ready to lease a car from us, please don’t hesitate to call us. Just reach us via 929-239-3040, and our auto representatives will attend to all your requests the soonest possible. Remember, we have all the Maserati models ready for you to lease, and our personnel will get you the best lease deal for your situation. NYC Car Lease looks forward to doing business with you.